You are currently browsing the tag archive for the ‘Smother’ tag. No messing about with an intro, cause this album does mess around. The album opener “Lion’s Share” is an incredible track to open the album with. It has strong paternal qualities which are carried by the lyrics and the vocal which is allowed to ebb and flow through the song by a very simple musical backing. The emphasis is definitely on the vocal, however the piano despite being quite simple, in contrast with the drum machine/synthesizer which is being quite effectively used are quite enjoyable. “Bed of Nails” starts with a very strong electronic sound which for a while had me cringing about what I was going to hear next due to the obvious pop beats that were being used. The drumming continues to provide a simple platform and with the introduction of guitars and keys create a very busy song which the singing floats across elegantly. “Deeper” takes you in a different direction as there is a stronger guitar influence and piano offering more of a supporting role. The busy-ness of the song is quite contrasting to the slow tempo of it which gives you different toppings to explore with every bite. The vocal has a kind of Pete Murray feel to it, but the “shortness” and “burstiness” make it very invoking in a way that Pete Murray could only ever hope to be. “Loop the Loop”, ah man. I just have to leave this track alone because any description that I would have would sell the song short, truly magical. Same goes for “Albatross” for that matter. “Plaything” has the unfortunate task of following “Loop the Loop” and sees the drumming take control with some graceful keyboards give the song great depth. This song is the epitome of the enormity of this album as it could easily be overlooked as being more of the same yet is so capable of carrying any other mediocre album on its back. “Invisible” exemplifies the great contrast in this album as it is capable of being so much but is not what the album calls for and is cut somewhat short. The guitars are again used in an unorthodox fashion and really grab your attention. Despite the brief nature of the song, the vocal actually feels like it’s in a rush,which really works well in between the neighbouring songs on the album. “Albatross, ah, “Albatross”, what a song. “Reach a Bit Further” brings the punch to the album with some really punchy punchness to the vocal. This song sums up what WB was trying to achieve with everything that they have brought to the table with this piece of work and it’s over in a heartbeat. “Burning” and “End Come too Soon” do a wonderful job of maintaining the emotion and passion that is generated through this album. The piano work through the album seems to reach a peak here without ever being complex or challenging. This album has great power through the control of tempo through the vocal over very busy and often simple keyboards and percussion which are used to great effect. I often forget that the guitars are even there at times. The songs seem really complex and well written without being hard to listen to. The vocals are amazing. Best vocal I have heard in a long time, it controls every song and pulls each track in directions that feel obvious yet it can disappear at times to allow the music to take over. Each song seems to grow on the last and there is no let down in the quality of the work, every song fulfills its role in relation to the album. It always intrigues me to look at bands’ Wikipedia pages and to see what genre’s they are listed as. I remember one listing being “Math Rock” (I thought it was Muse but I seem to be wrong), however “Art Rock” and “Dream Pop” are two of the funnier listings. But that is the thing with Wild Beasts, they defy common classification. The very correct, traditional sounding vocal which makes it difficult to pigeon hole Wild Beasts as rock. Personally I don’t agree with trying to label bands, however to recommend bands you often need to. 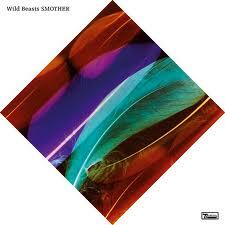 Wild Beasts on the other hand should be experienced by everyone regardless of personal musical tastes. Having said that though, I doubt that they will appeal to everyone. As mentioned, the vocal won’t be for everyone, but the album doesn’t falter. If they ever reach mainstream I will shed tears. I can’t say enough in favour of this album, so I say adieu. ALBUM RATING: A moving musical odyssey. Absolutely amazing. AOTY material, without doubt.